Directly by the manufacturer for your service! 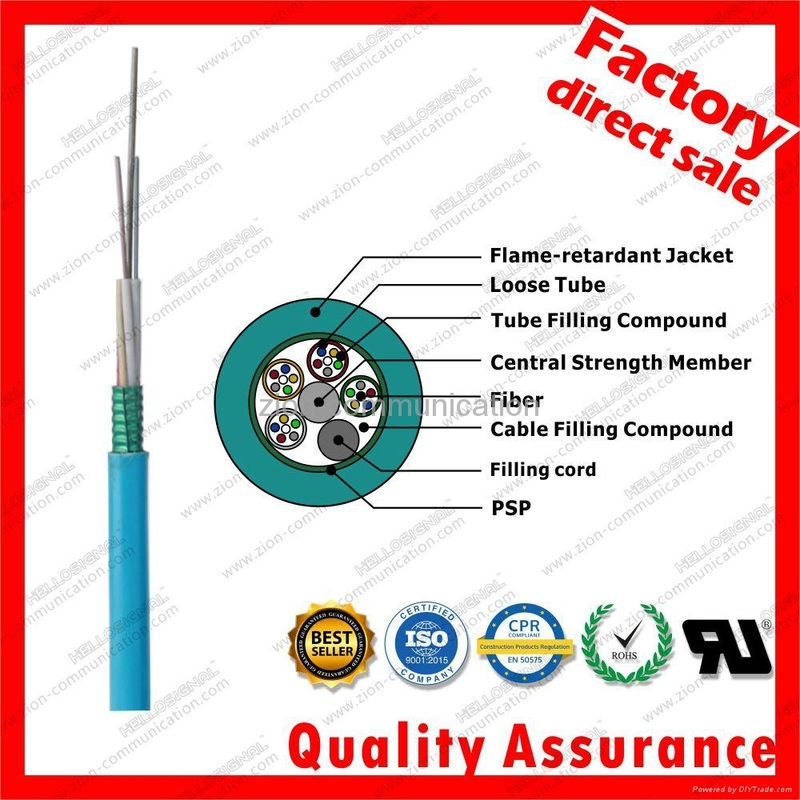 (PE) for cable with high fiber count, locates in the center of core as a metallic strength member. Tubes (and fillers) are stranded around the strength member into a compact and circular cable core. protect it from water ingress. 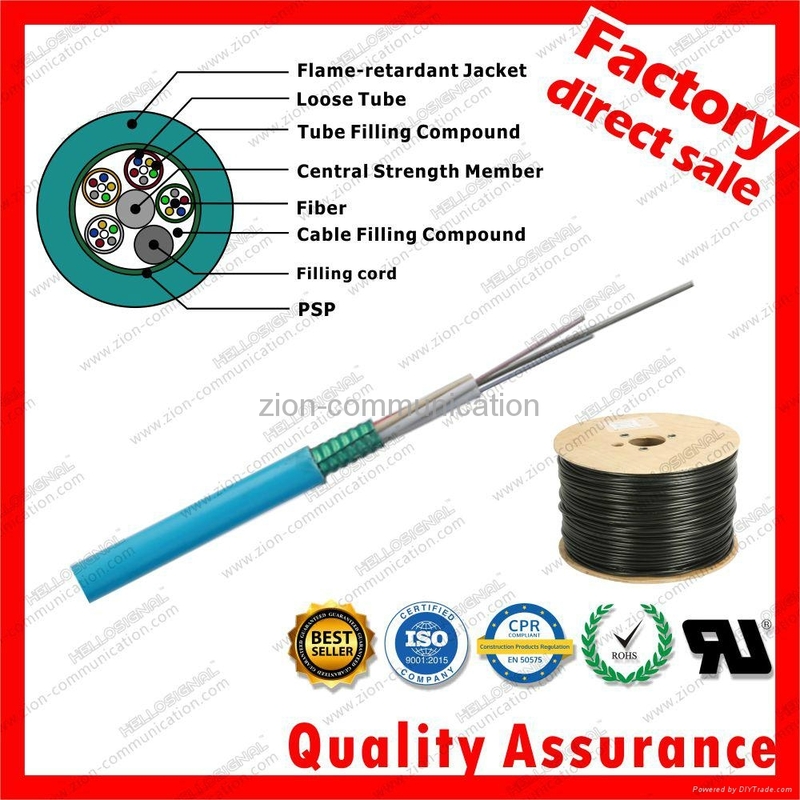 The cable is completed with a fiame-retardant sheath. ZION COMMUNICATION is a professional signal products and security system products provider. We believe on investing and building strong R&D capabilities for new technology and innovation.We have a strong R&D team and skilled workers, also with the advanced machines and modern factories which can provide our customers with outstanding quality, service. 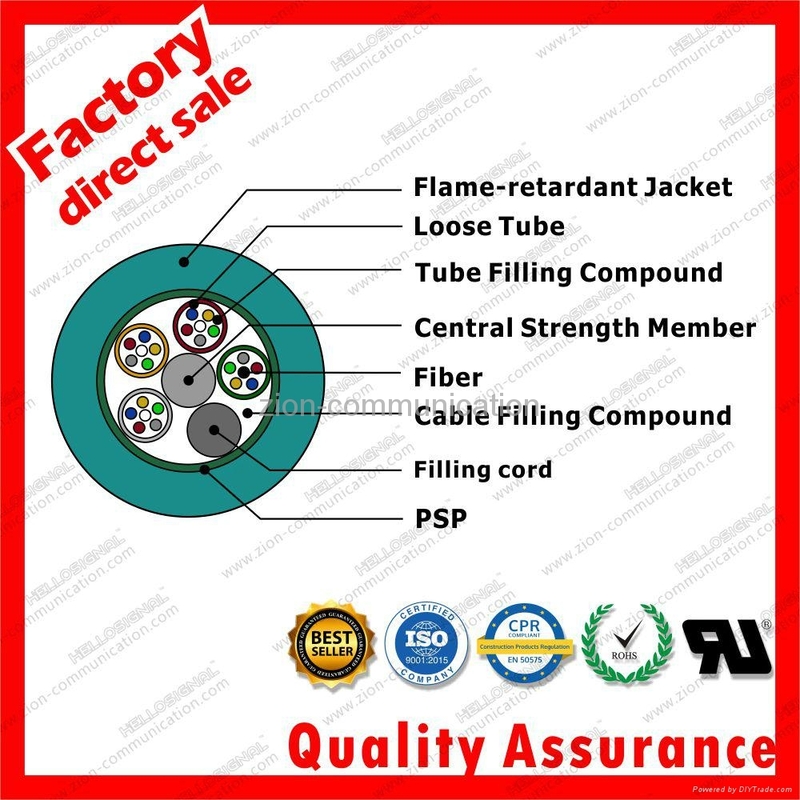 Our company keep on investing other factories and build up strong cooperation with other companies too to provide whole products and systems in signal field and security systems to satisfy customers orders inquire. 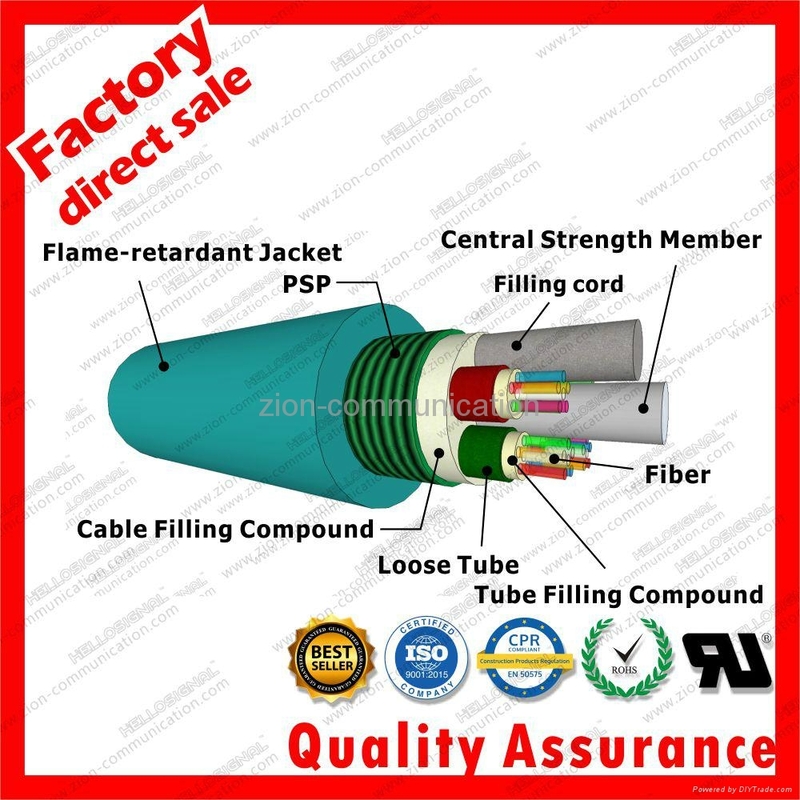 A highlight of ZION COMMUNICATION is its emphasis on Quality Control, Quality Audit and Quality Assurance in the spheres of manufacturing activities and service, i.e. from RAW MATERIAL TO FINAL PRODUCTS to CUSTOMER SUPPORT SERVICES.